Here are some high definition satellite photos of three “local” tracks, which means within a day’s drive, even if two require an overnight stay or two to participate in the DE there. Click on images to see them really large. The first is Sandia Speedway, alternatively called Motiva, or NAPA. It’s located west of the city off I-40 at Nine-Mile Hill. This is our local track, and although very tight with 14 turns, it’s a challenge to master. 1’40” is a respectable DE time. In this photo it’s driven counterclockwise. The next track is Arroyo Seco Raceway between Las Cruces and Deming off I-10. It’s where the PCA Carrera region holds its October Fiesta. It’s fast and flat and pretty safe. 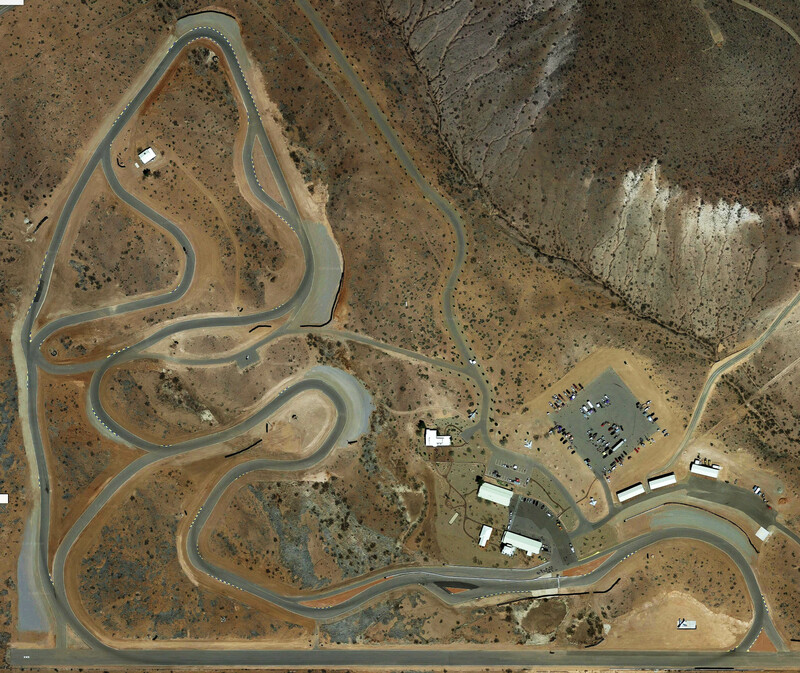 The front straight is a drag strip and is usually driven clockwise in this satellite image. 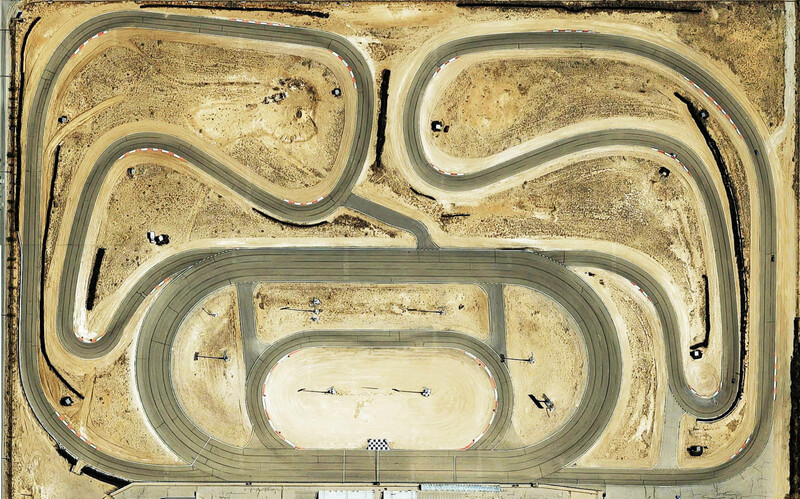 This track is Inde Motorsports Park near Willcox, Arizona. I’ve never driven on it, but it has lots of elevation changes and is quite long. The front straight is a landing strip for private planes!